Without Warning Media is the production company for Lynne Hansen’s creative endeavors, including the upcoming horror/thriller feature film Cold Dead Hands, and the horror comedy Chomp, which has screened at over 70 film festivals in 12 countries across the globe. Chomp has been nominated for or won over 30 awards, including Best Short Horror Film of 2015 in the Fright Meter Awards. Lynne Hansen is a storyteller who, after directing her first short film Chomp, discovered that she had been studying her entire life to become a filmmaker. She developed a love of all things creepy huddling beneath the covers watching Acri Creature Feature with her dad and big brother. She honed her knowledge of story during her six-year tenure as senior editor for a small press publishing company and as an award-winning author. She developed her eye for visual storytelling designing book covers that required condensing an entire story into a single image. She shepherded her own creative endeavors into the world, and those of others, as a marketing professional, including working with a historic non-profit art-house theater. Having struggled to find her own voice as an artist, Lynne has spoken to students at over 200 schools about how to nurture their own creative spark. She was awarded the 2014 Buffalo Dreams Fantastic Film Festival Filmmaker to Watch “Dreamer” award. 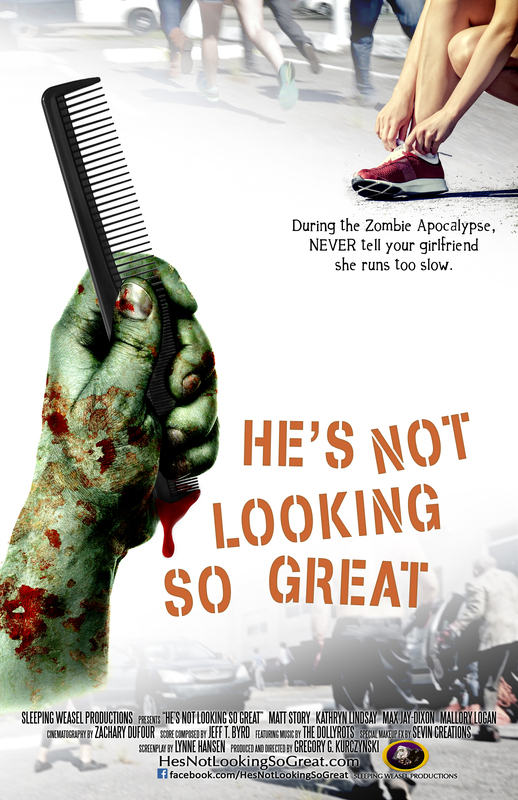 Lynne’s introduction to filmmaking came when she wrote the script for He’s Not Looking So Great, a short film about a guy who dumps his girlfriend in the middle of the zombie apocalypse because she’s put on a couple of extra pounds and has had a bit too much trouble escaping from the zombies. (Hint: It doesn’t end well for him.) The script was optioned by New Orleans filmmaker Gregory G. Kurczynski in early 2013 and Lynne served as an associate producer on the project. He’s Not Looking So Great made its film festival debut in November of 2013 at the Buffalo Dreams Fantastic Film Festival where it was nominated for Best Comedy Short. It has since been selected to appear in the anthology film Vault of Terror 2, due out on DVD now. Inspired by her experience with He’s Not Looking So Great, Lynne decided to try her own hand at the helm–and loved it. She wrote, produced, and directed the short film Chomp, about a little old lady who is determined to prove to the world that she’s captured a zombie–even if he isn’t one! It premiered October 19th, 2014 at the Halloween Horror Picture Show in Tampa, Florida, and won Best Short and Best of the Fest at the GeekFest Film Fest at Shock Pop Comic Con. It has since played at over 70 film festivals in 12 countries across the globe. Lynne is interviewed about her role as screenwriter for HE’S NOT LOOKING SO GREAT. Gregory Lamberson, founder and programmer for the Buffalo Dreams Fantastic Film Festival has some very nice things to say about Lynne during his Dread Media interview at about 1:01:32. Lynne Hansen stops by to talk about her recent career-turn as a filmmaker. From her screenplay for the zombie comedy short film HE’S NOT LOOKING SO GREAT to the trials and tribulations of directing her first short, the very atypical zombie film CHOMP. Lynne chats with Armand Rosamilia about being a first-time director and about being married to a fellow creative. Lynne talks about book cover design and marketing. 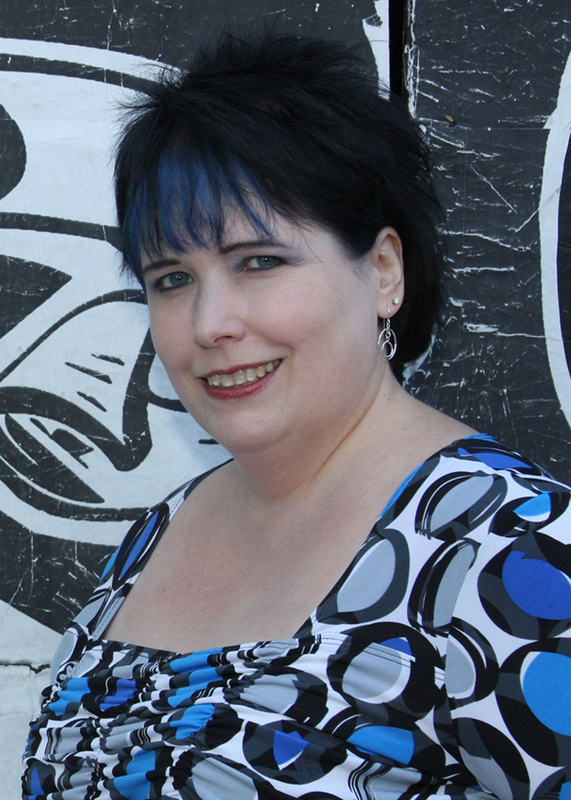 Lynne talks about writing horror for teens.